NEW YORK (CNS) – On the 46th anniversary of Roe v. Wade, “a night when darkness claims the victory,” more than 500 people gathered at St. Patrick’s Cathedral to give thanks for the gift of life and pray for an end to abortion. 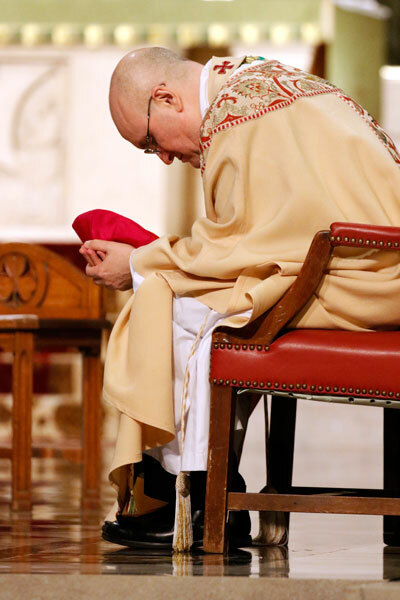 Auxiliary Bishop Peter J. Byrne of New York was the principal celebrant of the Mass. Brooklyn Auxiliary Bishop James Massa concelebrated with eight priests. The Sisters of Life organized the cathedral event, which drew a diverse cross section of New Yorkers. The Franciscan Friars of the Renewal provided music and reflection for the Holy Hour.